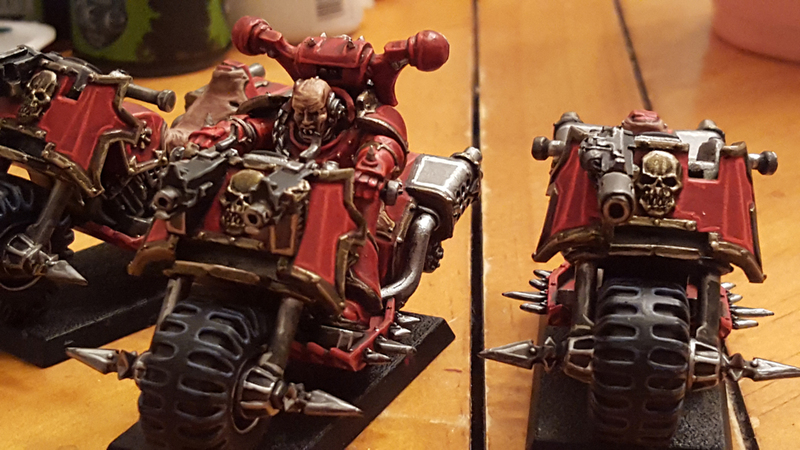 So far, I’ve got pretty much 90 percent of the highlighting and finishing touches done on the bikes themselves. I really just need to do some gems on buttons and do the targeting screens, but that should be it. The screens are really something I can do at a much later date. Though my OCD will not let me ignore them forever. But I can fight off that demon for now. Also, I’ve got the champion model pretty much done as well. I might put a water transfer on his open shoulder pad, but otherwise he is finished. I probably also need to do his alternate power sword arm at some point, but again, I think I will put that off. 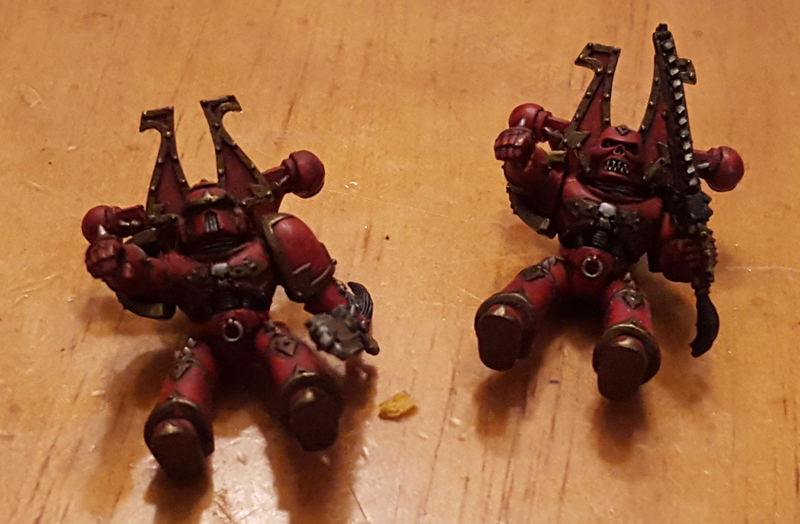 These poor slobs are waiting to be finished. So the main things left to do are the highlighting of the biker marines. Once I have them done, basing the models should be done quickly. Hopefully, I’ll have them all done by the end of the day Monday, but we’ll see. As we all know – “hope is the first step on the road to disappointment.” Overall, though, I’m pleased with how these models are turning out. 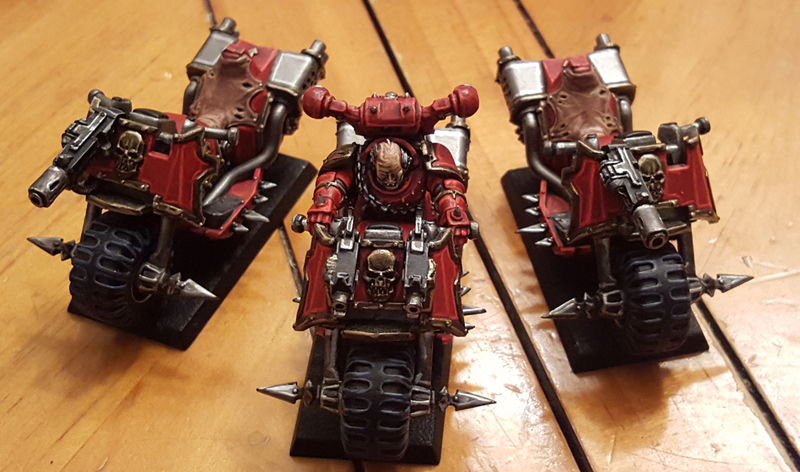 Once I have them done, I’ll have my Gorepack finished to add to my Bloodhost. Looking forward to getting them on the table!